Support and promotion, with adoption, for the development of open source elections software within the City and County of San Francisco. The United States passed a Federal Open Source Code policy. The OSI participated in a round-table discussion and was invited to advise during the policy creation process by the White House Office of Management and Budget. Board member Paul Tagliomonte testified on behalf of the OSI concerning two bills proposed in New York City: Int. 0365-2014 and Int. 0366-2014. Int. 0365-2014 requires transparency of City purchasing, and Int. 0366-2014 calls for not just showing preference towards open source technology during procurement, but to also minimize the procurement of proprietary software. Introduction of FOSS in classrooms to support Science, Technology, Engineering and Math curriculum in K-12 education. Support and advisement for the Journal of Open Source, "a developer friendly journal for research software packages" . Provided consultation to Stack Exchange regarding licensing for content and code contributions. Working with crowd-funding sites to raise awareness, develop standards and instill good practice to address the ambiguity in, or mis-representation of, projects seeking funding promoted as open source software. Adoption a set of "Principles of DRM Nonaggression for Open Standards." Membership Over the course of 2016 we received financial support from over 25 organizations and companies. Sponsor organizations are valuable to the OSI, but they are not members of the organization—they don’t have voting rights. This enables us to better focus on directing our work in directions that benefit the entire open source community, rather than just corporate interests. Our list of Affiliate Members spans Africa, Asia, Australia, Europe, North America, South America, and the Indian subcontinent. In addition to a range of non-profits and open source projects, we have a number of education institutions who have joined us over this past year. Protecting Open Source The Open Source trademark is now recognized in nine global regions and countries. This helps us make sure that things labeled “open source” meet the standards expected of open source. 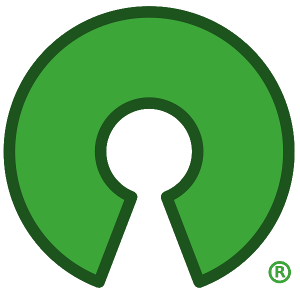 Our globally recognized logo makes it so you can quickly identify open source products and projects. On more than 20 occasions we either found or were alerted to the misuse of the term Open Source, at which point we contacted the individuals or organizations and worked with them to better comply and meet open source ideals and best practices. Thanks and Future Goals We recently held a board meeting, during which we discussed what we accomplished over the past year, and our goals for the upcoming. In addition to continuing to support the organizations for which we provide fiscal sponsorship, working groups, and licensing efforts, we hope to expand our efforts in education, provide better resources for governments interested in incorporating open source in development and procurement, and provide more opportunities for individual and affiliate members to get involved with the OSI, our efforts, and one another. It is only thanks to members, donors, and supporters of the OSI we were able to carry out all of the work we accomplished in 2016. In addition to the above, we provided necessary fiscal sponsorship for small open source projects. Your funding helped us redo our website, travel for outreach opportunities, and best fight for open source all over the world. We are proud of our work from 2016, and need to push even harder in 2017. We’re asking you to take your open source contributions to the next level by donating to the OSI. We can work together to work for open source.